← Rumor: Matt Smith To Portray Palpatine In Episode IX? 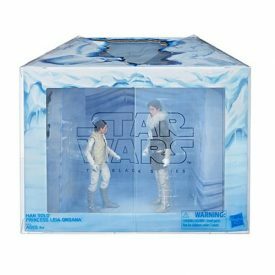 As we mentioned earlier, the Han Solo/Princess Leia Organa International exclusive will also be available online through Entertainment Earth starting tomorrow. Tune in at 9 am PST / 12 pm EST for the pre-orders to go live. Click here for the product page. Look for this to ship in December. Previous Article: Rumor: Matt Smith To Portray Palpatine In Episode IX?